• Bosch home appliances expands award-winning dishwasher line with the Bosch 100 Series dishwasher, a dishwasher line offering premium, quality features at an attractive price point. • The premium features of the Bosch 100 Series lineup include a fingerprint resistant finish, PrecisionWash™ System, RackMatic® adjustable racks, a third-rack or utility rack option and Bosch’s legendary sound reduction technology. • PrecisionWash System: Bosch believes users shouldn’t have to wash their dishes, before loading the dishwasher, or even after the dishwasher has finished running. With the Bosch PrecisionWash System – a five-point cleaning system comprised of intelligent sensors that continually scan the progress of the cycle, precision spray arms engineered to target every item of the load, advanced filters that aid the cleaning process and more – users can simply start the dishwasher and walk away. • Fingerprint Resistant Stainless Steel: Bosch 100 Series stainless steel dishwashers include top-of-the-line stainless steel on the exterior of the unit. The exterior stainless steel is fingerprint resistant, helping guard against fingerprints and making the dishwasher door easy to clean. The material is proof of the value, care and craftsmanship that goes into designing every Bosch dishwasher. • RackMatic: Every Bosch 100 Series dishwasher is equipped with upper rack adjustability to help customize the setup of every dishwasher load. The three-level RackMatic adjustable rack, featured in selected models, is designed to allow tall items like stemware to fit in the middle rack while also creating room for pots and pans below. The RackMatic adjustable rack includes three adjustable heights for up to nine rack positions. o Utility Rack: Finding a place in the dishwasher for cooking tools that never seem to fit anywhere is easier thanks to the new Utility Rack. By creating a secure, designated spot for these items, the “mini rack” frees up space for larger items in other areas of the dishwasher. o Third Rack: Every dirty dish has a place in the dishwasher, thanks to the innovative third rack. Creating 30% more loading area,** the third rack is perfect for silverware, measuring cups and other items that don’t easily fit anywhere else within the dishwasher. The new Bosch 100 Series dishwasher lineup is offered in black, white and stainless steel finishes. Three distinct handle options, including the bar handle and the recessed handle, fit a variety of kitchen styles. Bosch 100 Series dishwashers are now available beginning at $499. Visit www.bosch-home.com/us for more details. Or, connect with Bosch on Facebook (facebook.com/BoschAppliances), Twitter (@BoschAppliances) or Instagram (@BoschhomeUS). *Based on an average of sound ratings of 24" Full Size Stainless Steel Tub dishwashers contained in major brands websites. Major brands defined as TraQline Top 5 Market Share. **Compared to a Bosch dishwasher with two racks. Bosch home appliances has been selling high-quality appliances in the United States since 1991. With a focus on engineering products that simplify life, Bosch is known nationwide for raising the standards in quietness, efficiency and design. Bosch frequently receives top ratings in leading consumer publications. 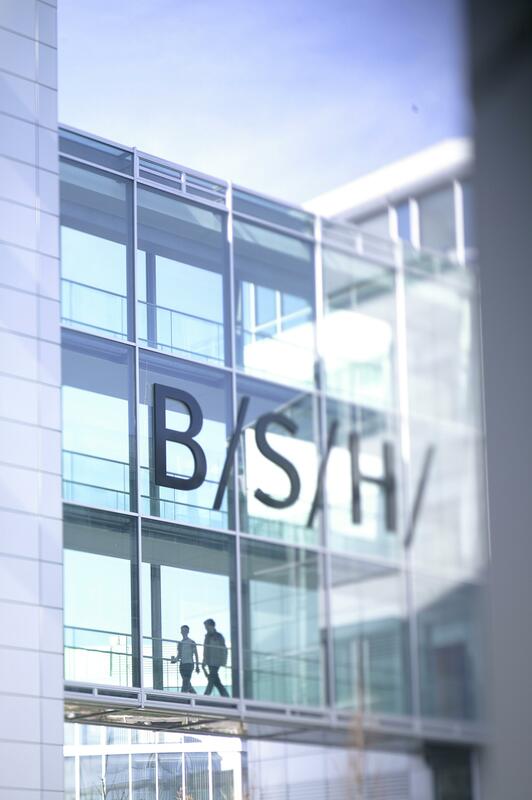 Bosch home appliances is part of BSH Home Appliances Corporation, a wholly-owned subsidiary of Munich based BSH Hausgeräte GmbH, the largest manufacturer of home appliances in Europe, and one of the leading companies in the sector worldwide. Headquartered in Irvine, CA, the company operates manufacturing facilities in La Follette, Tenn., and New Bern, N.C., housing state-of-the-art factories for dishwashers, ranges, ovens and cooktops. Technology and Development Centers are located in Knoxville and Caryville, Tenn., and New Bern, N.C.